Big Wheel Building: Testing one, two: Simple visual. Testing one, two: Simple visual. Just so that people understand what's being compared here. 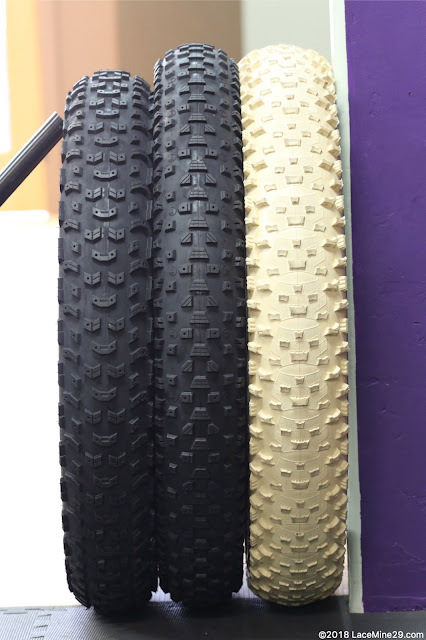 At left is the Terrene Johnny 5, a 26 x 5.0" tire, mounted on a 105mm rim, tubeless, at 10psi. 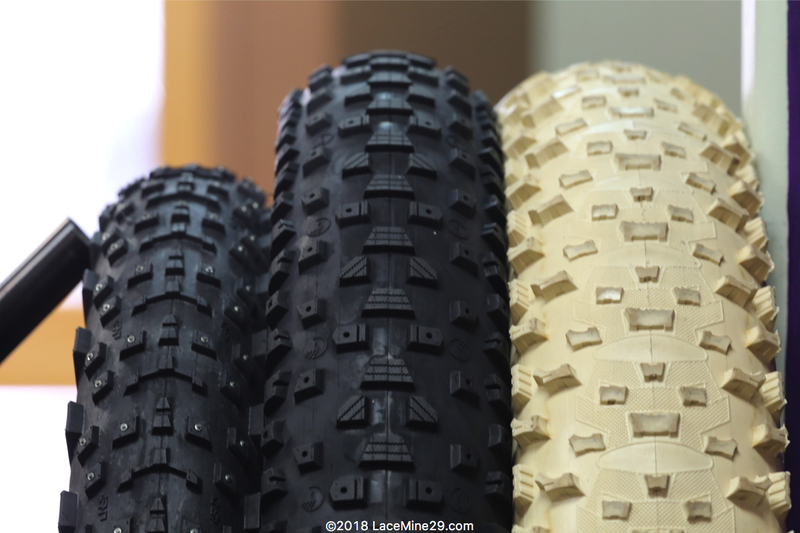 At center is the Terrene Cake Eater 27.5 x 4.5" tire, currently mounted and stretching on a 77mm rim, tubeless, at 10psi. I am now running this tire on an 89mm rim. 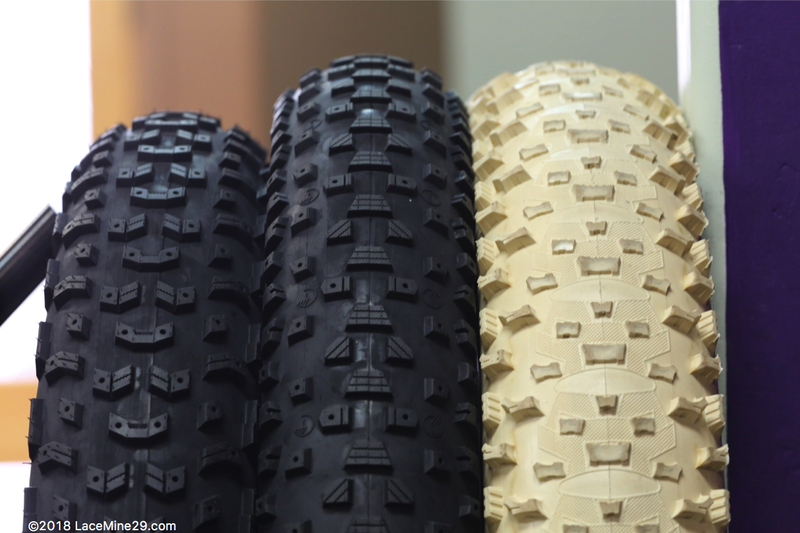 At right is the Vee 2XL 26 x 5.05" tire, being run on a 105mm rim, tubeless, at 10psi. Although all are tubeless and at the same pressure, I'm not going to give measurements as yet because the two Terrene tires pictured here have yet to be ridden at all. 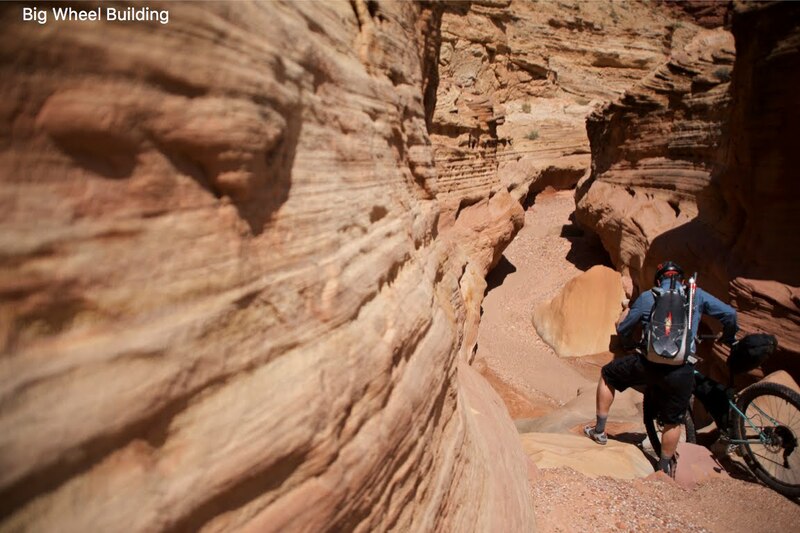 Riding them causes them to stretch and grow several millimeters, especially when done at snow-low pressures. I think the overall height of the Cake Eater and 2XL will be a wash once the CE is installed and ridden on the wider rims I plan to test it on. Lastly, one more pic for giggles: 45N Dillinger 4 on a 65m rim. Can't believe I made it to Nome a few times on tires not quite that big. Great visual. Thanks for that MC. There really is no replacement for displacement is there, although the 27.5 CE looks great. Now all we need is a 2.7x5.0.